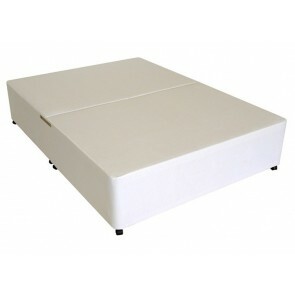 Our 2ft 6in small single divan bases offer the ideal solution for bedrooms that are a little compromised on space. 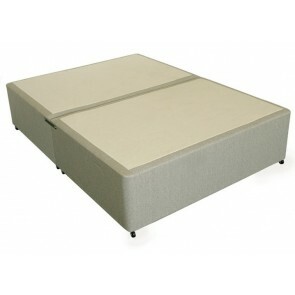 View our range of stylish small single divan base beds to find the perfect one for your bedroom. 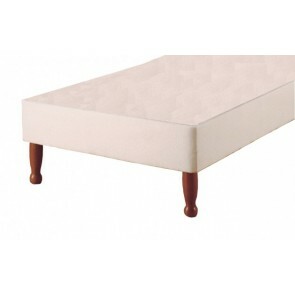 Choose from high quality budget styles, deluxe single divan bases, and premium designs that are upholstered in luxury soft fabrics and faux finishes. 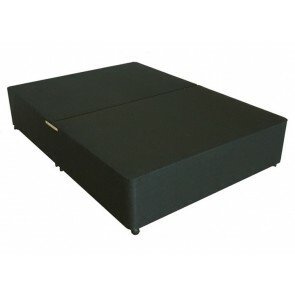 The compact 2ft 6in small single divan base is perfectly proportioned to fit the dimensions of a child’s bedroom or a cosy guest room. The solid timber base is available in both platform top or sprung edge base designs. Should you opt for the additional flexible storage that our spacious continental drawers provide, the wooden drawers are also upholstered in durable stitchbond fabric that matches the rest of the bed. 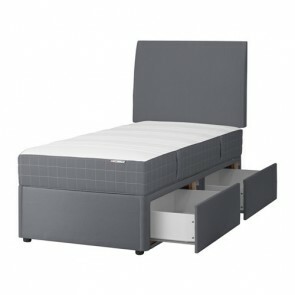 Generous capacity pull out drawers are available on the RH side, the LH side, and also at the footend of the bed for your convenience. 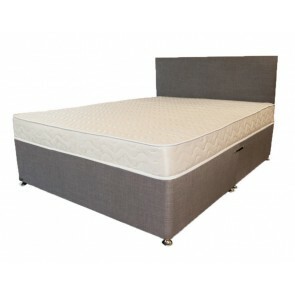 The 2ft 6in single divan base can be paired with a range of different mattresses for ultimate sleeping comfort. Easy glide castors fitted to the base allow for flexible positioning of the bed in any room. 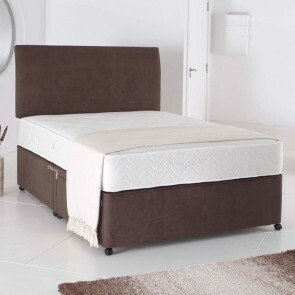 All of our high quality small single divan bases also feature a plain or padded top and sides finish, and practical headboard attachments. 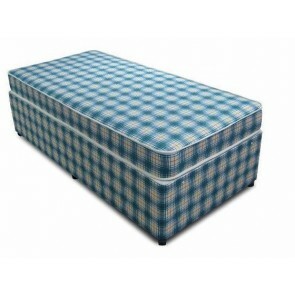 To enhance sleep comfort, and to make the best of the available space in a compact size or box bedroom, choose a 2ft 6in small single divan base with an optional storage solution. When positioned flush against a wall, our luxury small single divan beds optimise floor space and provide easy access to the spacious drawers that are situated in the base. Fill up the double drawers with bedding, linens, clothing, toys and other items, and instantly free your bedroom of messy clutter.